Neville Roach has enjoyed a distinguished career in the Information Technology and Telecommunications industry. He was appointed Chairman and CEO of Fujitsu Australia in 1997. He retired as CEO in 2000 and as Chairman in 2004. Neville is currently Chairman of the Advisory Board of Tata Consultancy Services in Australia and New Zealand. He is a graduate of the University of Bombay, India, where he majored in Economics and Political Science at St Xavier’s College. In October 2001,Mr Roach was awarded the degree of Doctor of Science (Honoris Causa) by the University of New South Wales, for his eminent service to the community. Mr Roach has served as a member of the Australian Government’s Cooperative Research Centre Committee, the inaugural Chairman of National ICT Australia Limited and Chairman of TAFE Global. Mr Roach has served as Chairman of the National Multicultural Advisory Council and its successor, the Council for Multicultural Australia, which provided advice to the Australian Prime Minister, and the Minister for Immigration and Multicultural Affairs. He has also been a Director and then Deputy Chairman of SBS, Australia’s national multicultural radio and television network. 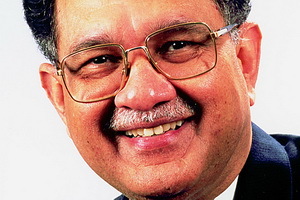 Mr Roach became National Chairman of the Australia India Business Council (AIBC) in 2000 and is now Chairman Emeritus. He is also a member of the Advisory Councils of both Asia Society’s AustralAsia Centre and of Asialink. Mr Roach was appointed an Officer of the Order of Australia (AO) on Australia Day, 2000 for service to business, particularly in the Information Technology Industry and for his contribution to the development of Australian multiculturalism. In January 2008, Mr Roach received the prestigious Pravasi Bharatiya Samman Award (Overseas Indian Honour Award), the highest Overseas Indian award, from the President of India. In 2009, Mr Roach was appointed by the Indian Government a member of the Indian Prime Minister’s Global Advisory Council of Overseas Indians. The Council comprises 20 prominent leaders of Indian origin from around the world. Mr Roach is the only appointee from Australia.